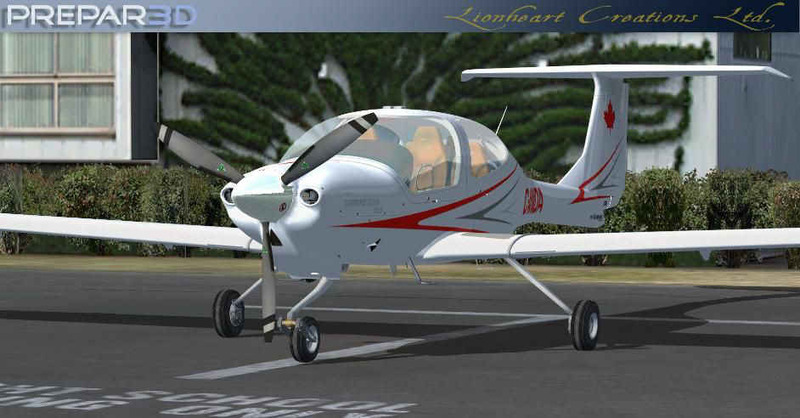 New from the studios of Lionheart Creations comes another sleek and fluid styled beauty, the high tech, shapely Diamond Star DA40 'XLS' Edition by Diamond Star aircraft Corporation. 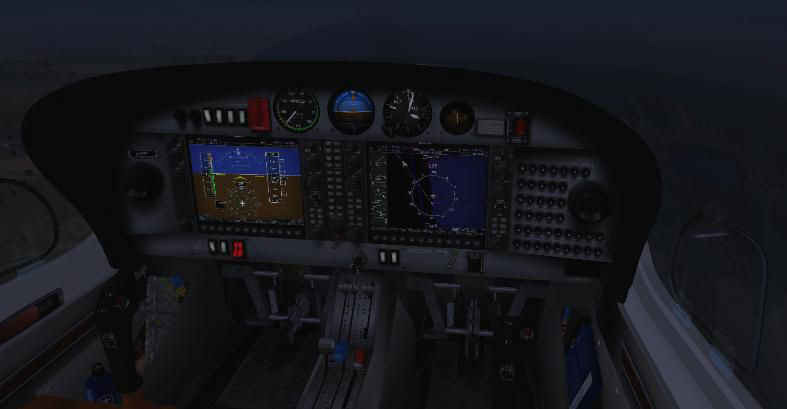 This flight simulation model package comes with 6 different aircraft registries with variations of interiors, animated pilot, full detail and animated VC cabin, which also sports a brilliant 'soft lit' interior for great night flights. Also featured is the Garmin G1000 glass panel instrument system with revised, new high detail bazels and featuring the built in version Auto Pilot system 'in' the G1000 MFD unit. 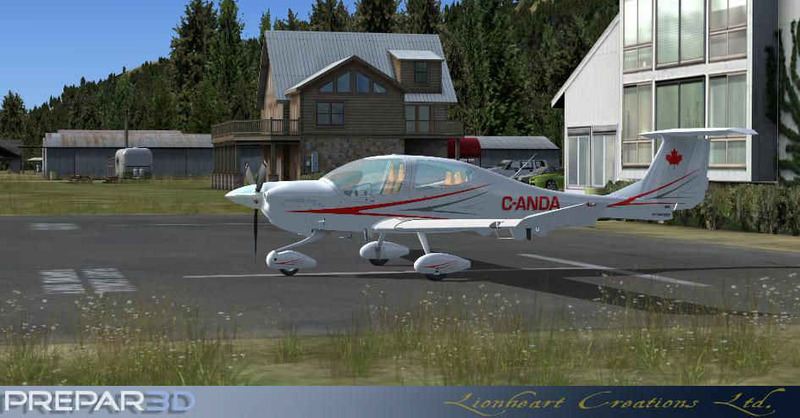 To top off the list, this complete, new package also comes in full FSX 'and' Prepar3D formats, with the dual FSX created model sets, new FSX technology textures/materials that feature bloom, reflection qualities, new soft glare and countless other new material capabilities. All textures in the FSX installer are full DDS format. For those that are student pilots and lovers of modern, new, fresh looking, sleek General Aviation aircraft, this might be for you. The cockpit of the Diamond Star DA40 has been reconstructed with extreme attention to accuracy. From the panel, to each gauge, to the bazels of the Garmin system to each engine control knob and also the sophisticated rudder pedals. A soft glow from all instruments that have illumination appears with a realistic resemblance, having a slightly shaded edge to each gauge and screen. Even the rocker switches are illuminated. High technology Garmin G1000 glass panel system with built in Auto Pilot. 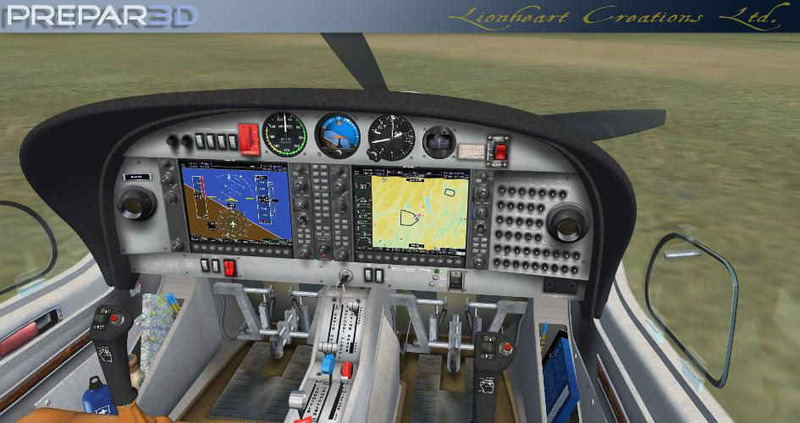 These have gauge code refinements, features such as wind direction, pattern entry selection, enhanced frame rates performance, and many other features and upgrades. sound level like one would have with headphones on. The paint kit for the DA40 is built into the download. You will find it labeled 'Paintkit' in the aircraft's folder in FS or P3D.